The following are a few small smart tips which can help you to conserve energy at home before you decide to install a home solar power system. Instead of using conventional bulbs, why not use energy efficient compact fluorescent bulbs, which are now being used widely by many households. Though they are expensive but in the long run, these bulbs will seem to be small investment. The life of these bulbs is twelve times more as compared to the conventional bulbs. These bulbs have proved to use only 25 % of power than the conventional bulbs. There will not be any need to overheat or overcool any room during different times of the day or during different seasons. Automatic and preprogrammed thermostats would be a great buy as these thermostats will automatically adjust different conditions during different timings of the day. These thermostats will automatically set the heating or cooling as per the requirement of your house. Once you have started the air conditioner, most of the cooling gets wasted if there are leaks in doors or windows frame. Simply plug these leaks so that the cooling created does get wasted. You may use effective draft stoppers meant to plug the leaks. These stoppers are quite durable and flexible and get fitted almost at all the spaces. Simply by cleaning the clogged filter on your air conditioner can save you 5 % of the energy bill. This small step is often neglected or is simply forgotten. The clogged filters compel the heater and air conditioners to consume more energy as these machines have to work harder to perform their intended tasks. Next target should be your home water heater. Manufacturers normally set these at 140, this result in high power consumption. Simply bring it down to 120 and see the results in your next power bill. While using dishwater, always make sure that it is completely full before you run it. There is no need to dry the dishes, let these dishes get dried automatically in the normal course of time. If you live at place where the climate is hot and the large part of your house faces the south, just consider planting some trees that will give you shade and cooling effect to your entire surroundings. Consider painting your house with a light shade, so that the sunlight is reflected away. By planting trees and painting your house with light shade, gives you complete protection from sunlight and helps in saving energy inside the house. More so you are also keeping the environment clean as trees absorb the toxic carbon emissions. These steps though small can play an important role in saving the consumption of energy at home. If possible, you must also inculcate these energy tips to other family members, so that they also contribute to energy saving. 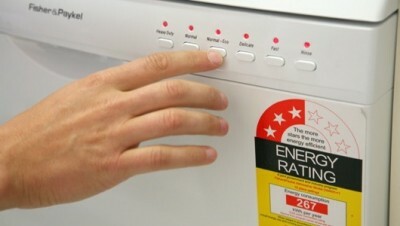 Remember energy saved is energy produced; you not only save the energy and money but contribute lot to the environment. These small steps can contribute a lot in saving energy. Who knows, with the amount of energy you saved, you may even reconsider using a solar power system at home.